Kamala Harris Released Her Tax Documents. Trump Still Hasn&#39;t.
Presidential Hopeful Kamala Harris Released Her Tax Documents. Trump Still Hasn't. NEW YORK, NY - FEBRUARY 21: 2020 Democratic presidential candidate Sen. Kamala Harris (D-CA) arrives to have lunch with Rev. Al Sharpton at Sylvia’s Restaurant in Harlem in New York City. According to Sharpton’s civil rights organization National Action Network, the two discussed criminal justice reform and other critical issues. Harris dined on a dish of chicken and waffles. California senator Kamala Harris reports that she and her husband were charged about $700,000 in federal taxes on an adjusted gross joint income of about $1.9 million last year. 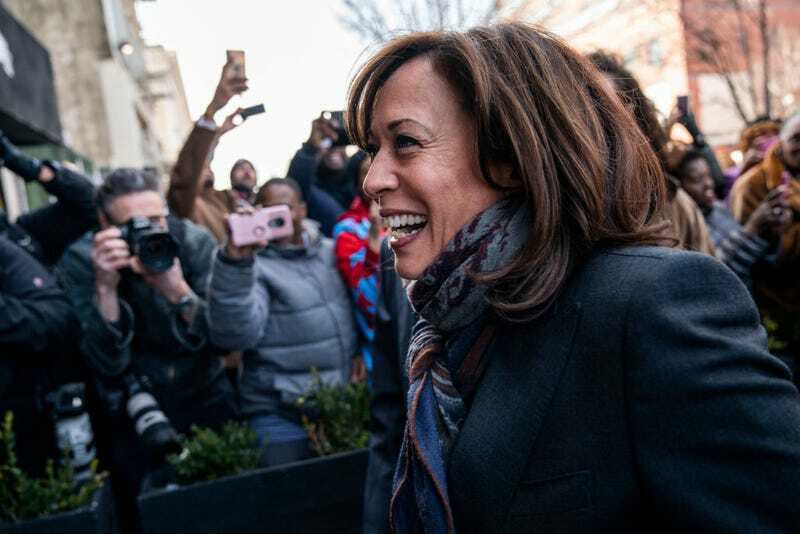 Harris, a Democratic presidential candidate, has released 15 years of tax returns, including her records for 2018 which showed income of about $157,000 from her job as a senator, as well as about $320,000 as a writer. She published her memoir The Truths We Hold, earlier this year. Her husband, Doug Emhoff, earned about $1.5 million as an attorney. “Sen. Kirsten Gillibrand of New York released her 2018 tax return in late March and urged her colleagues to do the same. She was the first Democratic candidate to do so. Gillibrand has released her returns annually since 2012. That year, she released her returns dating back to 2007. Meanwhile Donald Trump has continued to hide his tax reports since the 2016 presidential campaign. He was the first nominee in decades to refuse to show the documents. House Democrats continue to demand release of the files, which would give lawmakers a clear picture of Trump’s business dealings and potential conflicts of interest. Release of the tax returns is needed for The House to do their job of legal oversight, checks and balances.